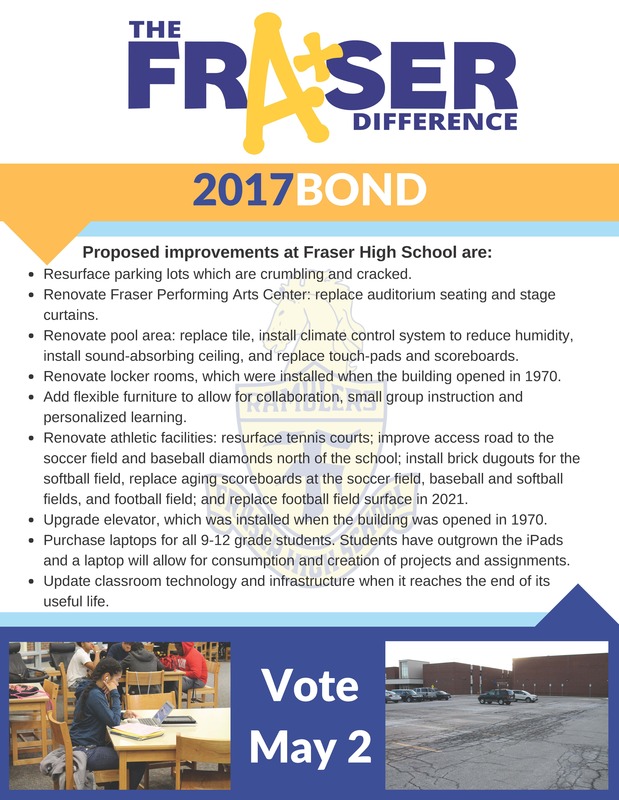 What's Planned for Fraser High School? Renovate locker rooms, which were installed when the building opened in 1970. Many doors are missing or broken, making the lockers unusable. Upgrade elevator, which was installed when the building was opened in 1970.